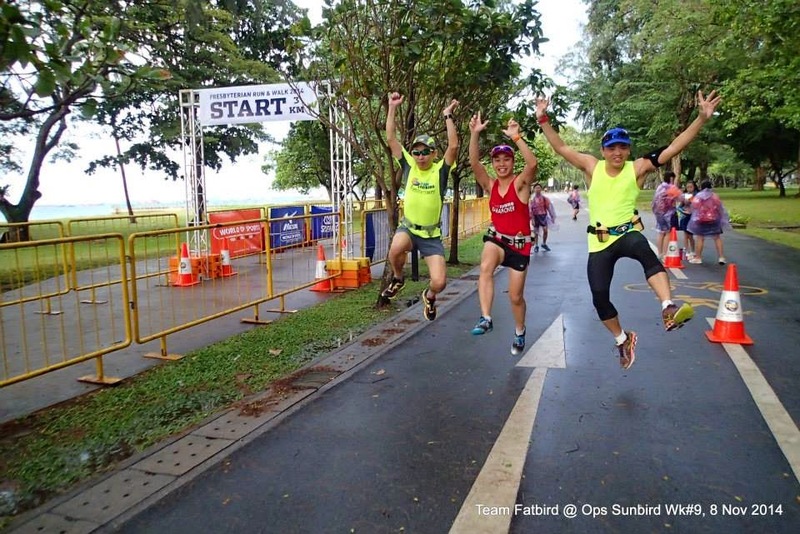 The Sunbirds Are Poised For Excellence! 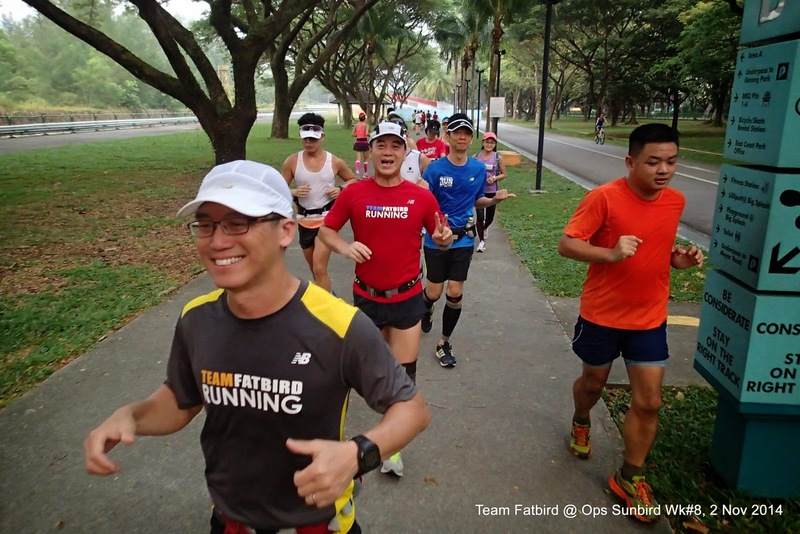 With the longest run locked and loaded last weekend, the Sunbirds were back in force for the start of Tapering this Sunday morning. 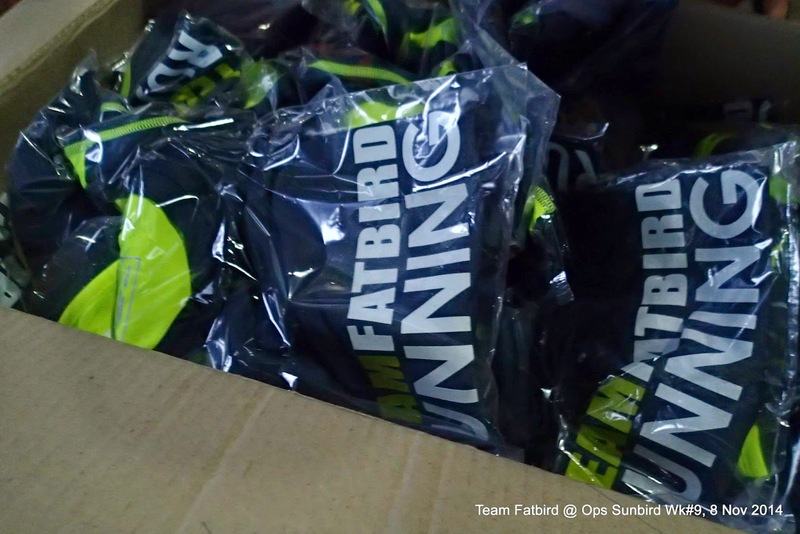 The trainees were also excited about receiving their Sunbird race singlets to try out for use on the big day. 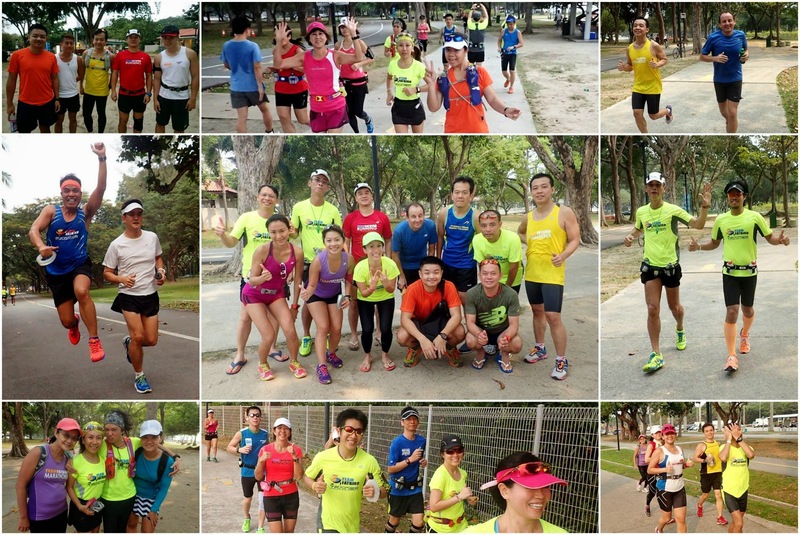 After the pre-training briefing and some quick photos, the respective groups ran off independently towards Fort Road. 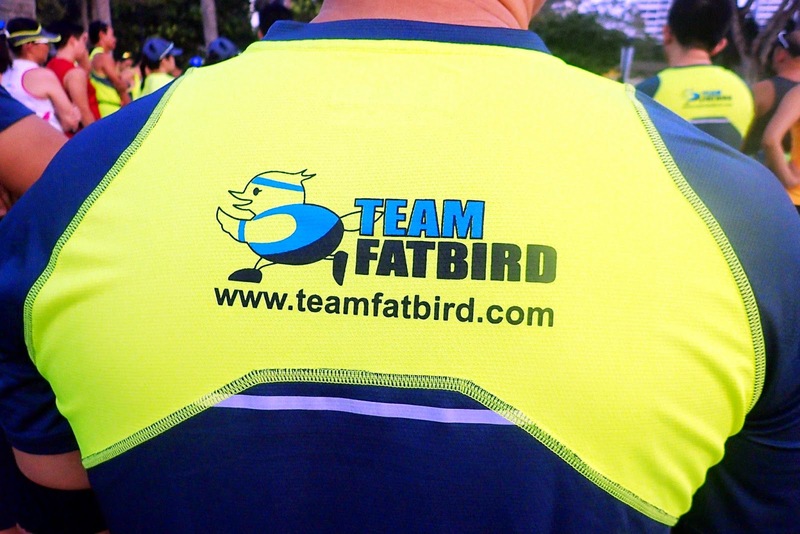 By now, many of the Sunbirds are already familiar with their paces and are putting in their final touches to the race and hydration/fuel plans. The first part of the LSD was a tad challenging as the sun peeked through the clouds. 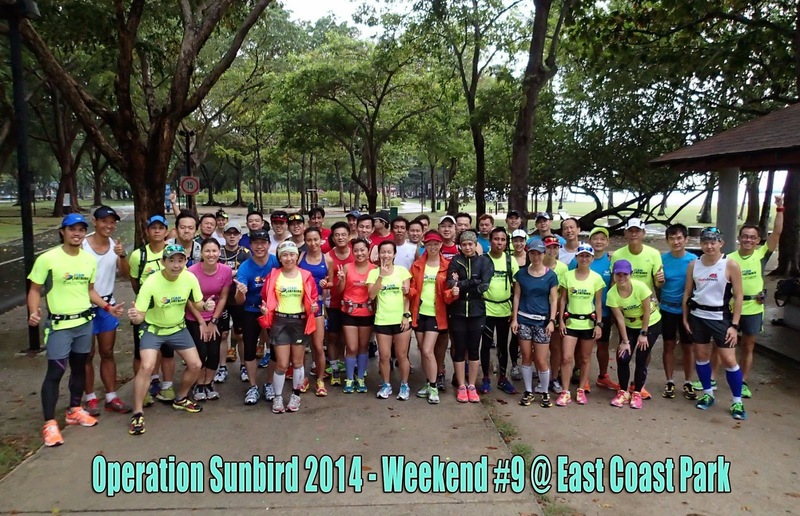 Most of the Sunbirds were able to sustain Optimal Pace through to 21km without too much of an issue. 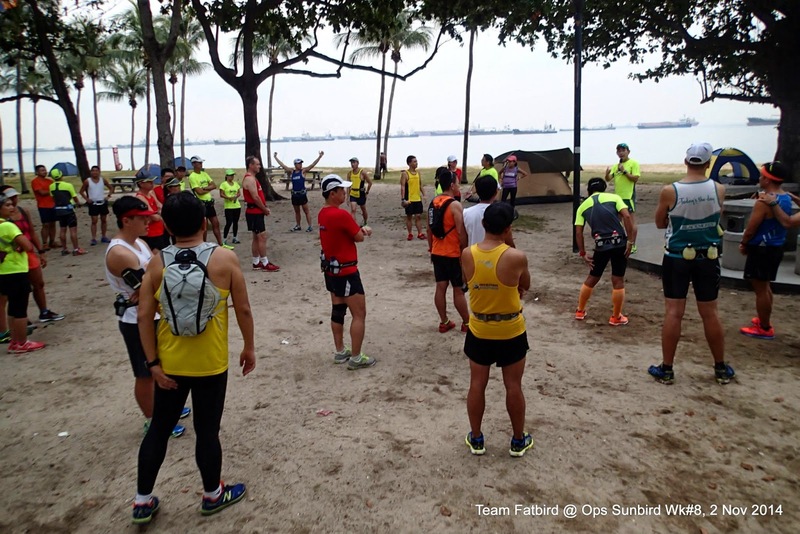 The Changi Coastal stretch provided some relief from the Sun’s rays, helping many to sustain and coast through till they reached the Sailing Centre. 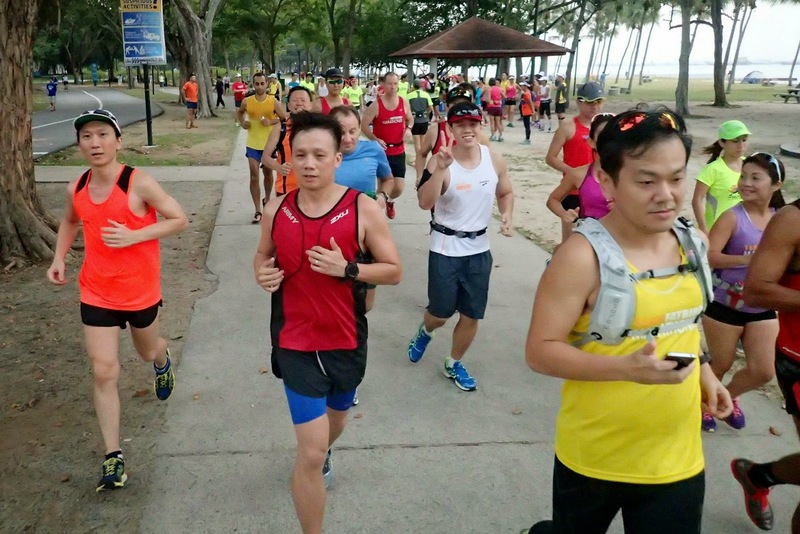 There were more runners at ECP this morning, putting in their final bursts for the SCMS on Dec 7. 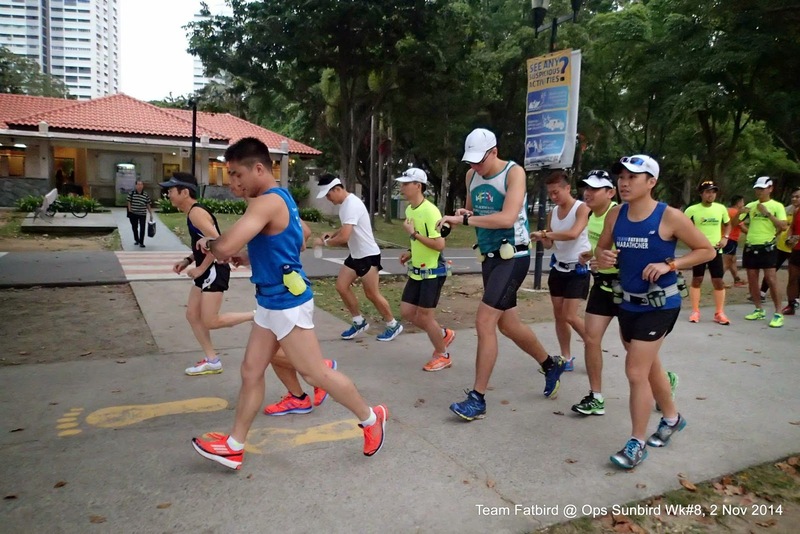 The Sunbirds having done 11 weeks of progressive training looked very composed and steady in their strides, giving them confidence of a good showing in a fortnight’s time. The number of stragglers have greatly diminished and more Sunbirds have upgraded to faster groupings, leaving just very few in Group 4. 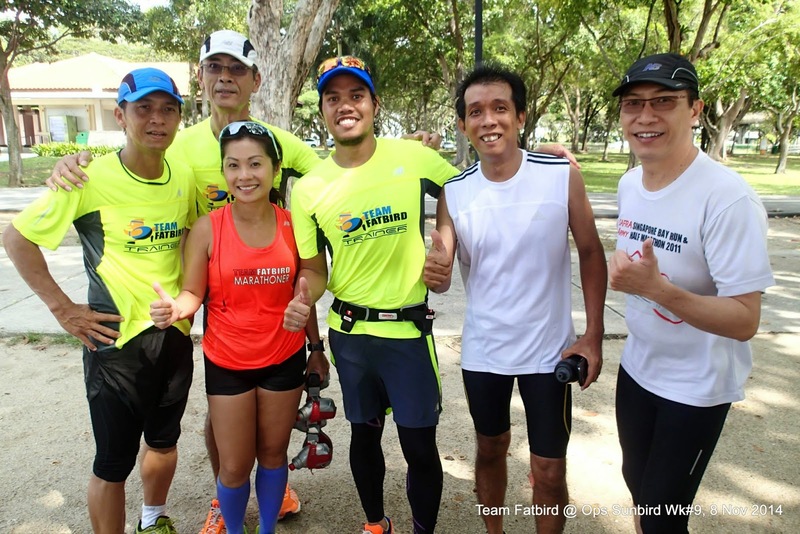 That is testament to the progress they have made in just 11 weeks of structured buildup with the marathon training program. 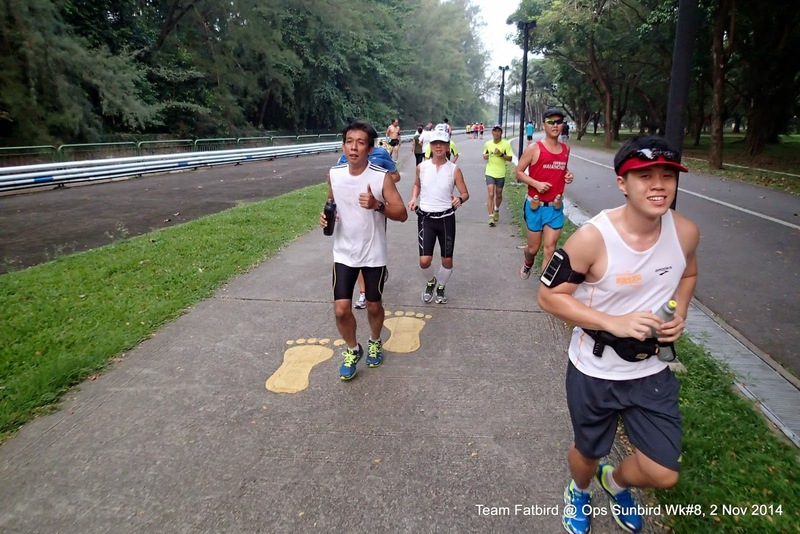 All returned strongly back at C4 Nest by 11am, with faces glowing with a sense of pride and confidence that they have put in all the hard work, and it is now a matter of keeping their bodies well oiled for a smooth delivery on Race Day. 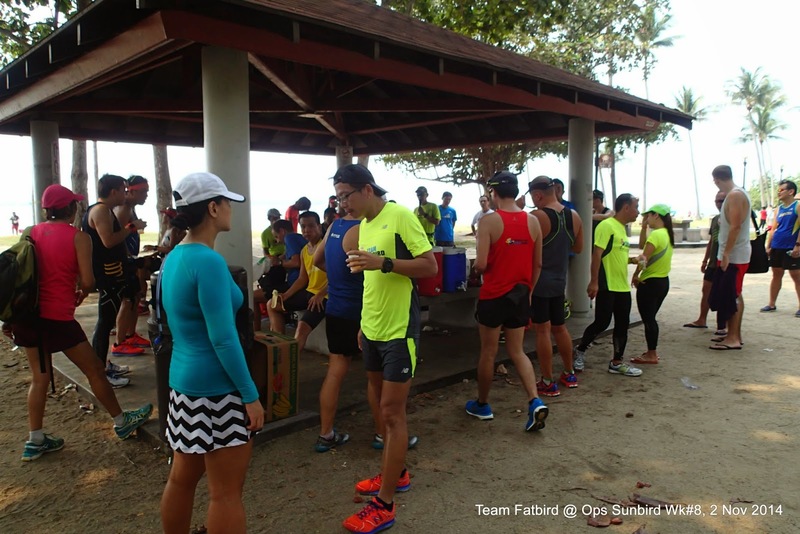 A few final tips and advise were given to the Sunbirds to help tweak and adjust some of the weak areas, before breaking off for home to have a good rest and recovery, with time left to enjoy the remaining half of the Sunday. 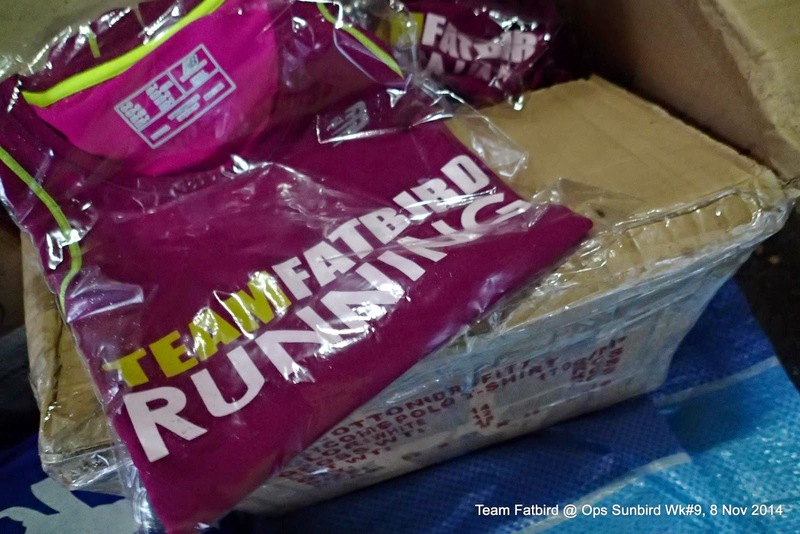 Next week will be Ops Finale and a graduating milestone of sorts for the Sunbirds, and we look forward to all dressed in their race day Sunbird attire for some nice shots for the album. We woke up to thundery showers and howls of the wind this early Saturday morning. 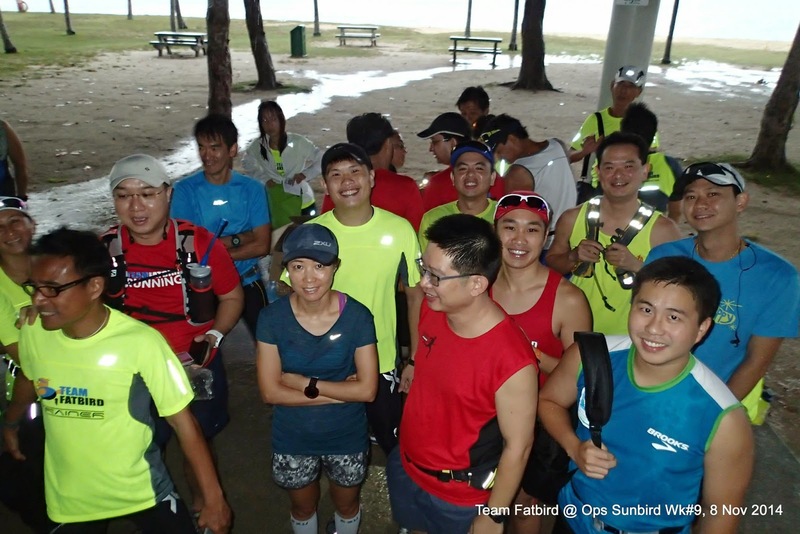 Our Ops Sunbird wet weather contingency plan obliged all to turn up for training, and eventually a nice group did show up at Carpark C4 Shelter. The live weather updates were showing the movement of large rain clouds in the southern sector of the island. While waiting for the rain to abate, we handed out the training tees to qualifying trainees who have with consistent attendance at training. The rain trickled to a stop by 7:20am. 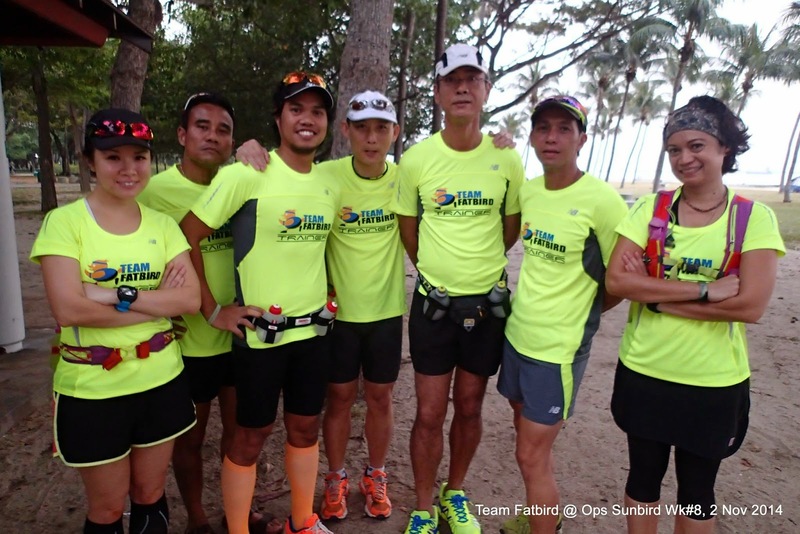 We flagged off as a group towards Fort Road facing cool winds and nice weather. 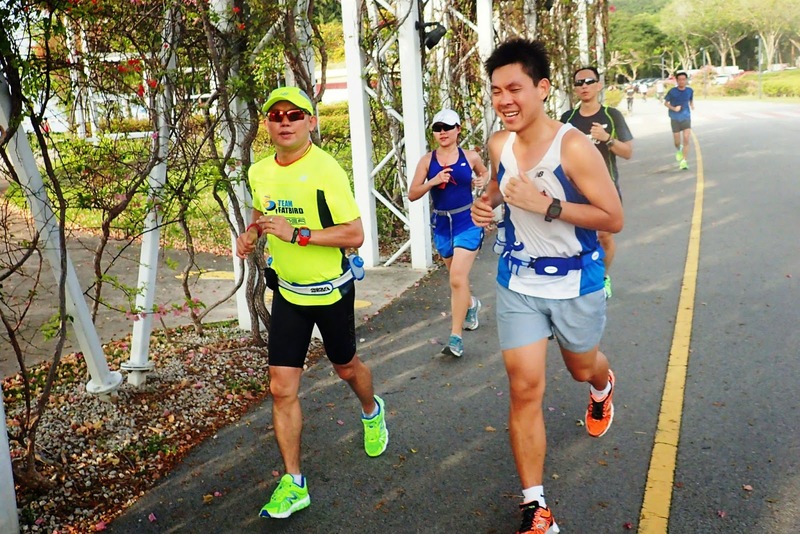 The plan was to do the first half of the distance at Marathon Pace (MP) and the second half of run at Optimal Pace (OP). 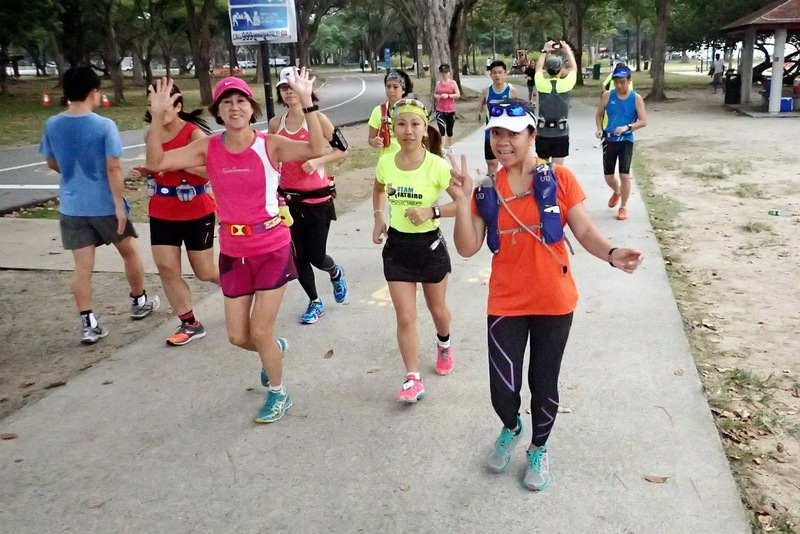 Many of the ladies who were signed up for the Great Eastern Women Run the next day did a shorter 18-21km as warm up. 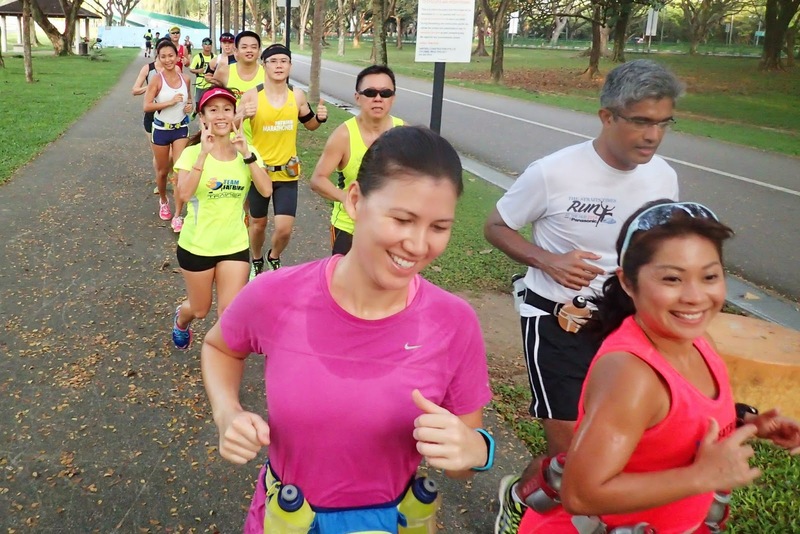 The first 10km was great as all groups were seen enjoying the cool after-rain weather, finding the paces comfortable but yet maintaining a conservative stance in not speeding up. 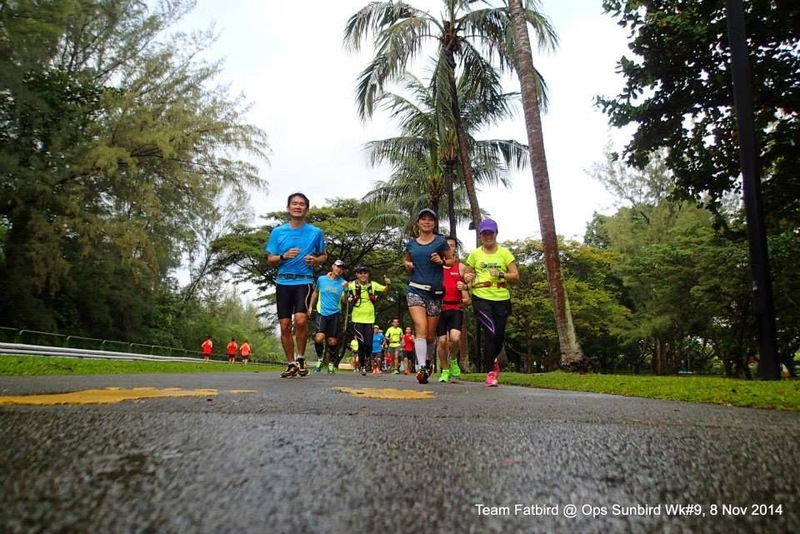 As we approached Changi Coastal Road, the sun was peering through the thick clouds, emitting weak streaks of sunlight that was to get stronger as the morning wore on. The smaller trainee pool allowed the pacers and trainers to give closer attention and also dispense some race day preparation tips. 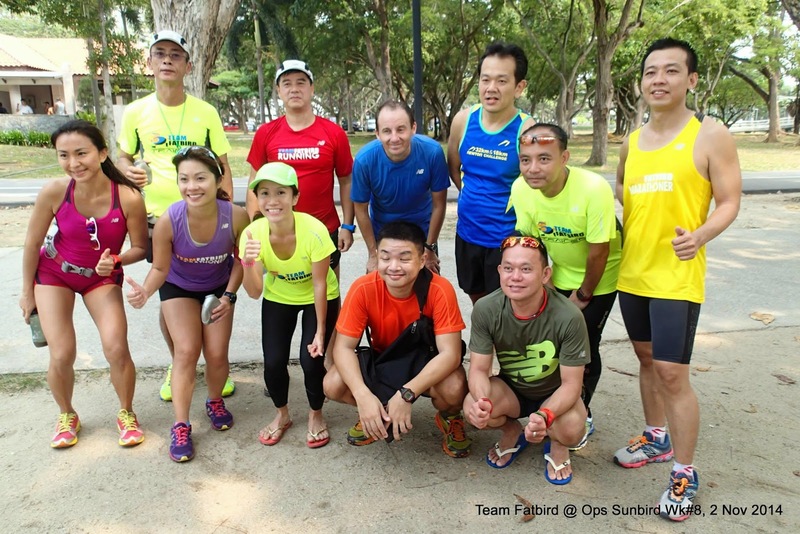 The HM Sunbirds had a field day in the nice weather, while the FM Sunbirds managed a strong pace for at least 25km. 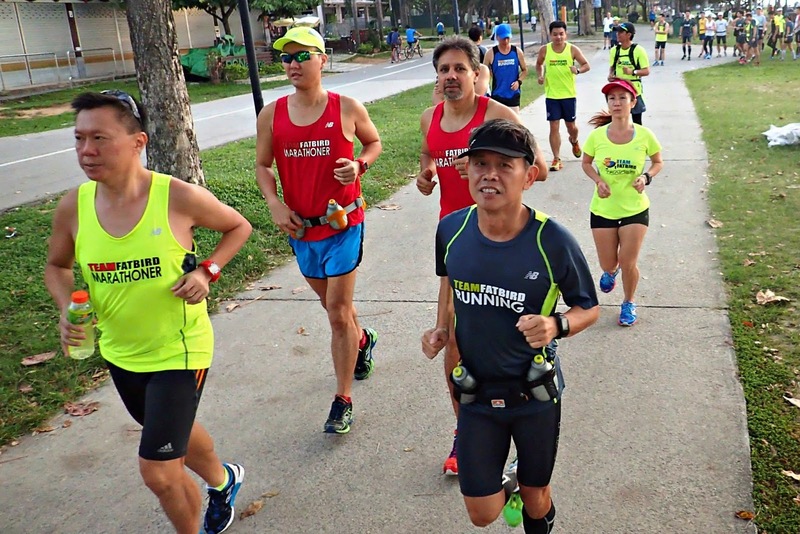 On the return out from Changi Coastal Road, the sun’s rays beat down the backs of the runners. 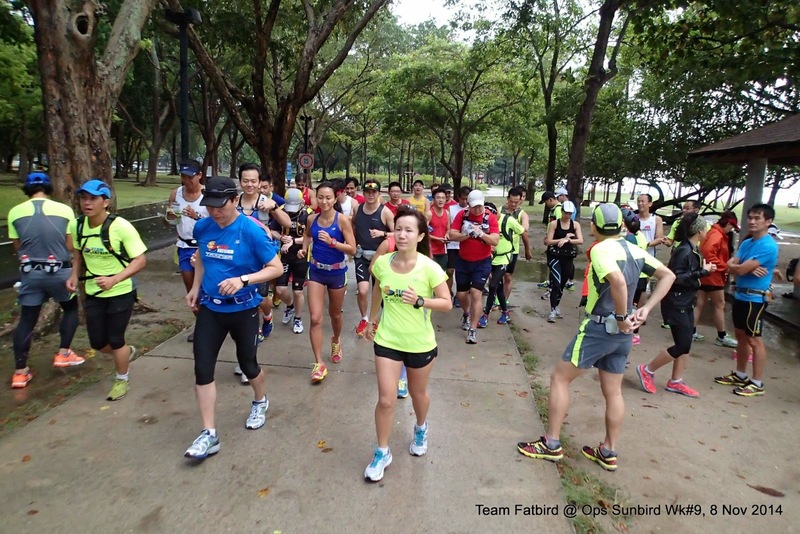 Coupled with the tiredness of the legs, there were drops in pace across the groups by about 15s-30s/km. 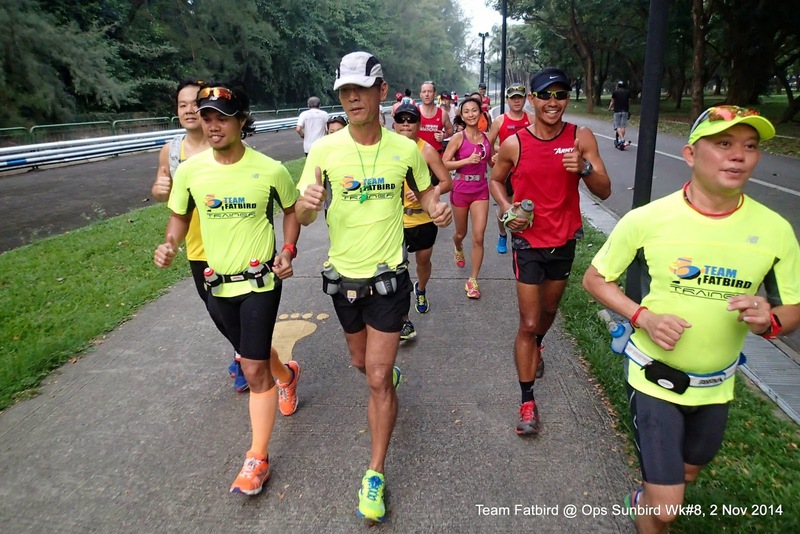 Still, the Sunbirds persisted and when some got their second wind, they were able to maintain MP all the way back to C4. 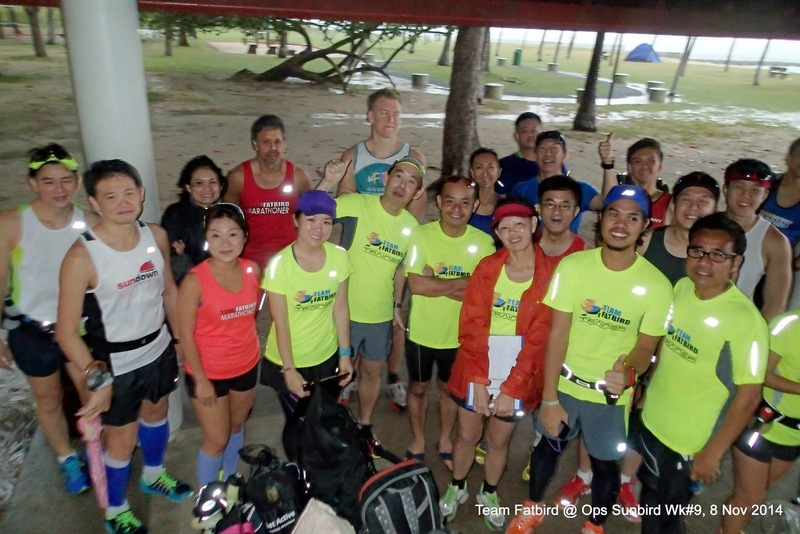 Most of the trainees were glad they made their way down to ECP in spite of the heavy showers, and were rewarded with satisfying workouts and pushing their thresholds. 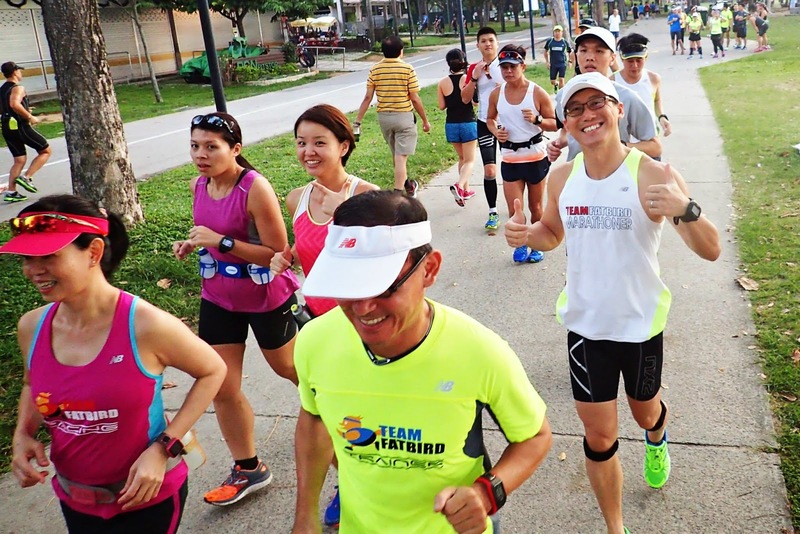 With the lessons learnt from the training LSD, some fine-tuning was in order to tweak the readiness and plan for a desirable set of results on Dec 7. 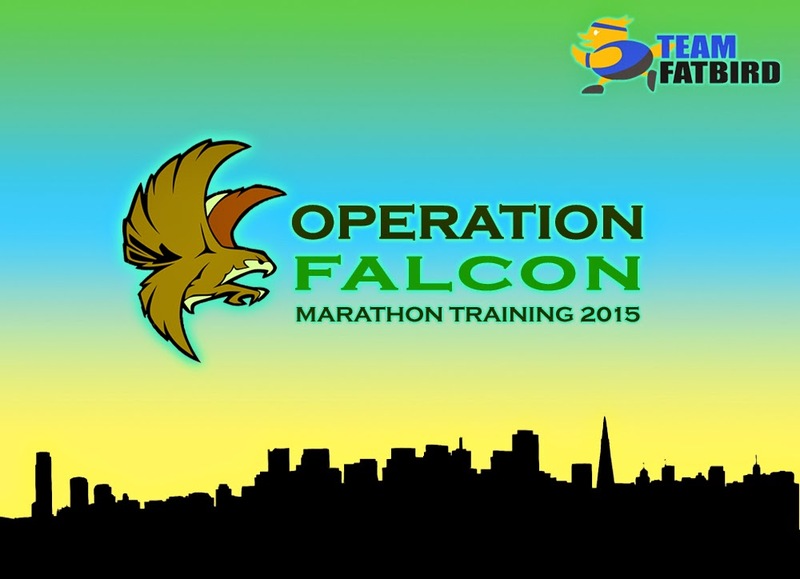 The majority completed Weekend 9’s run plan to satisfaction, meeting most of the training objectives. 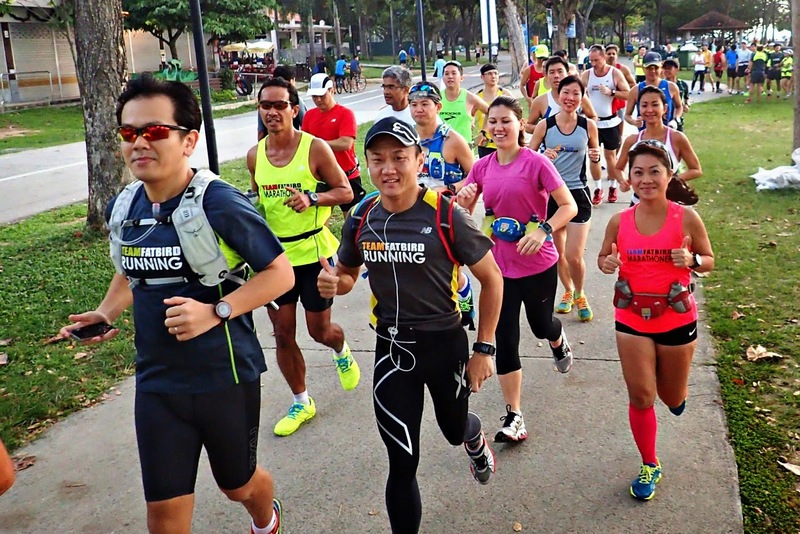 We look ahead to the longest LSD in Week #10 where we will put Optimal Pace into practice and going the longest 22km and 35km distances of the entire Sunbird program. 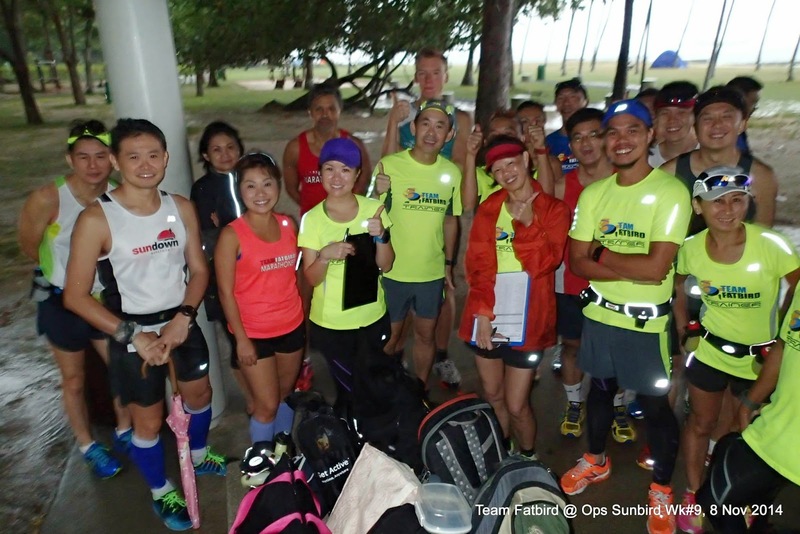 The Sunbirds Braved The Storm! 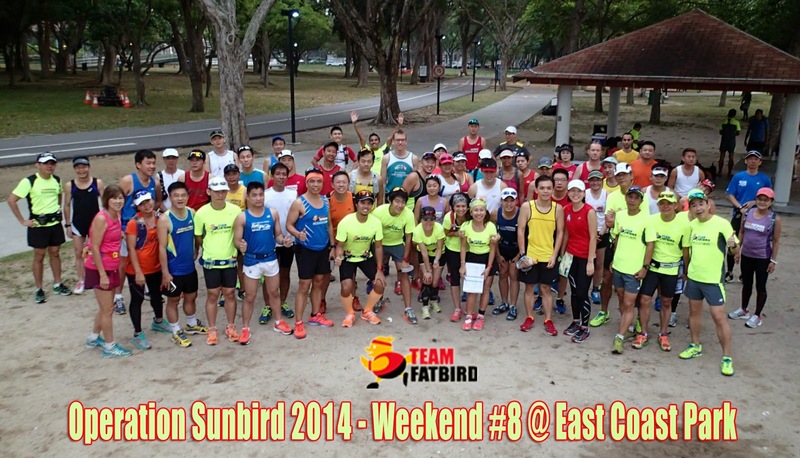 After weeks of training in the western hill slopes and reservoir trails of MacRitchie and Peirce, the Sunbirds returned to our Nest in the ECP for our Pace Training Phase. 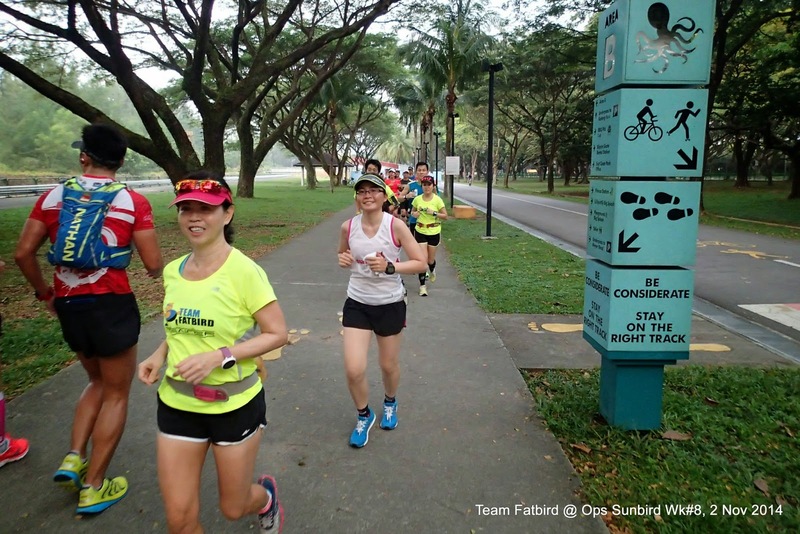 With the series of 30km+ runs over the next 3 weeks, all Sunbirds, especially the Full Marathoners were eager to put some good conditioning in the run up to 42km on Dec 7. 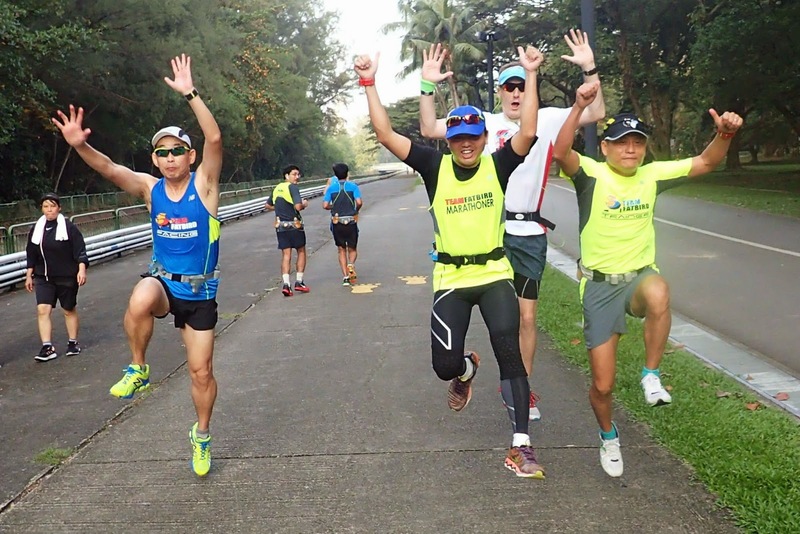 After a quick briefing and congratulatory mention to our Sunbird Trainer, Patrick Wu who finished Champion in the Monster UltraMarathon 200km in 24.5hrs, the respective training groups ran off at 7am in the direction of Fort Road. The skies were cloudy and the weather was cool, with the occasional bit of breeze. This was just one of the good mornings to test the limits of our trainees’ abilities, and they emerged on top of their game. 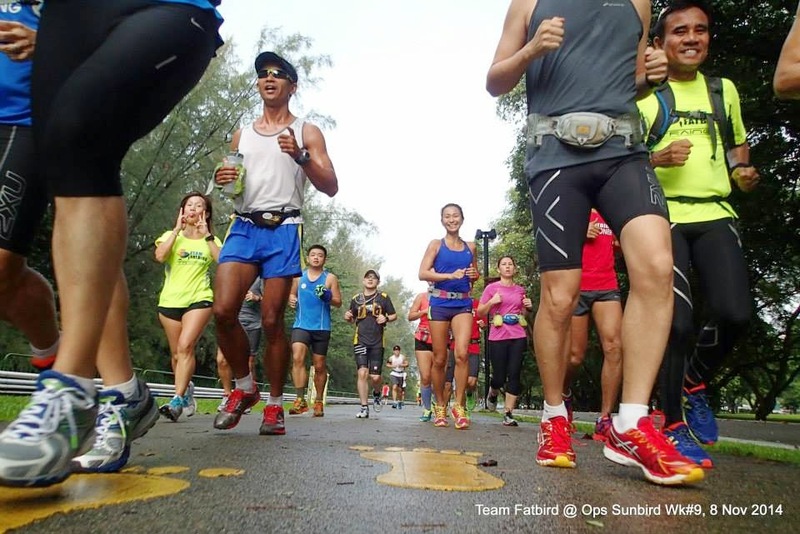 The trainers in their bright yellow tops could be spotted from a distance leading their respective charges on a steady Marathon Pace (MP). 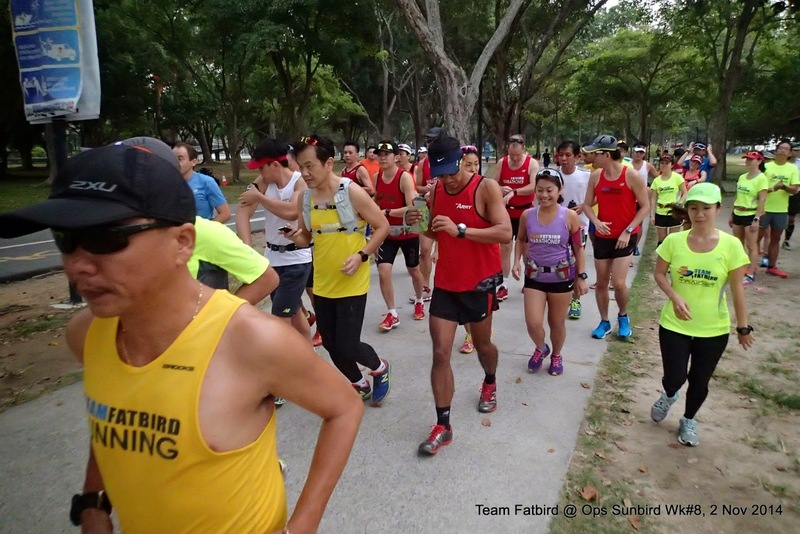 The first 10km was covered without much of an issue. 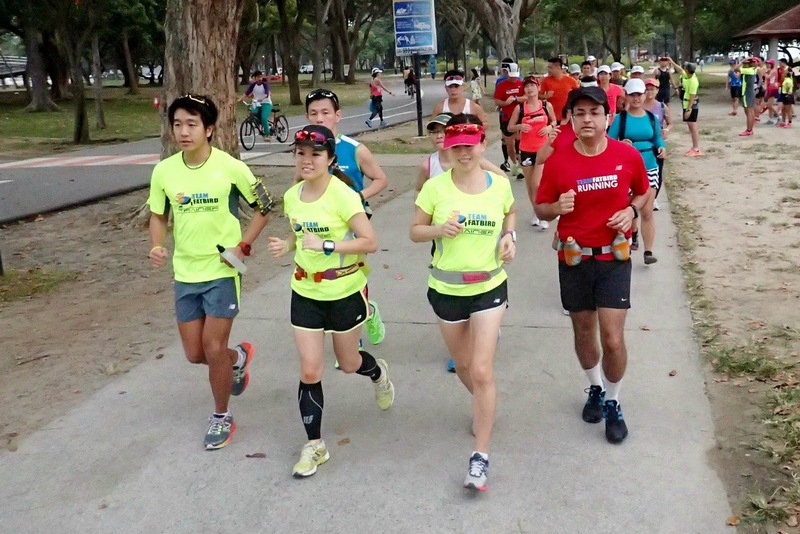 As we entered the cooling Changi Coastal Road, the mood was still good as fellow Sunbirds were still ambling on in chit-chat mode. The Coastal Road was as usual crowded with cyclists, and we were extra careful to be keeping to our own lanes while maintaining target pace. The Sunbirds definitely looked a lot more composed and steady today compared with last week’s ‘meltdown’ at the Labrador-Keppel Marina route. 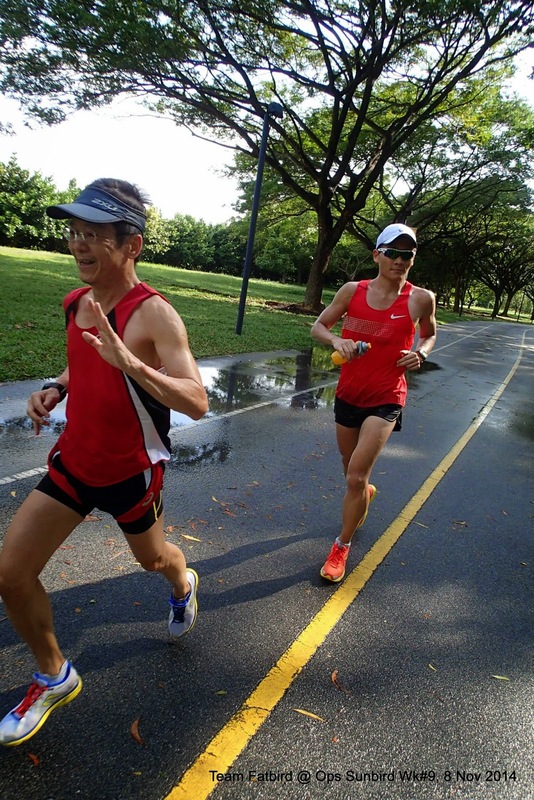 All systems of hydration and fuel-up were conscientiously put to practice for optimal performance. 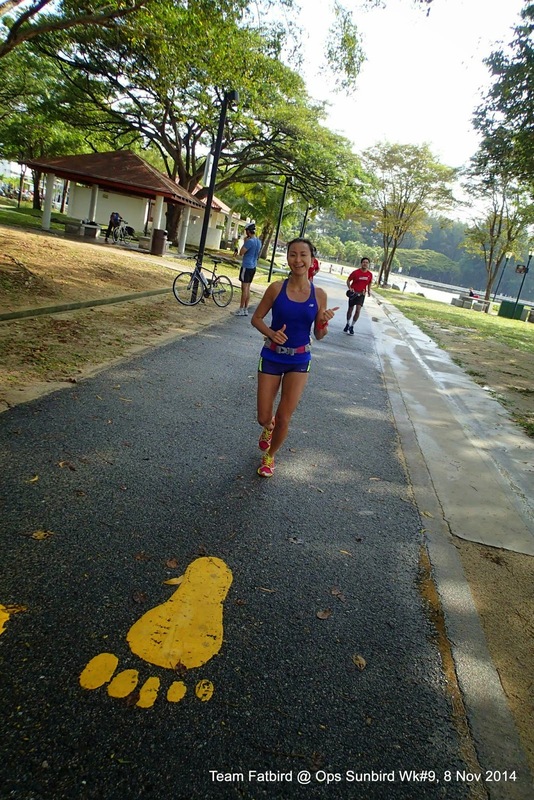 The return from Coastal Road was pretty smooth as the sun was still kept at bay when we hit 20km. 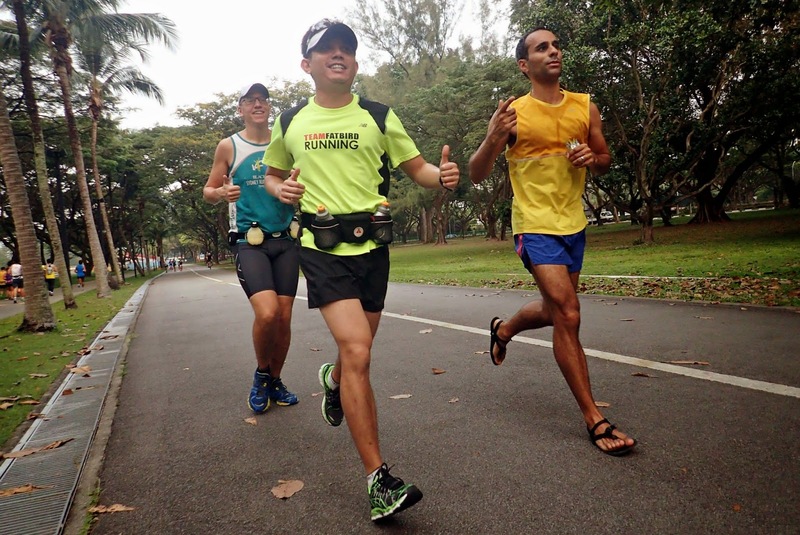 The high humidity required us to observe proper hydration protocol for sustained effort. 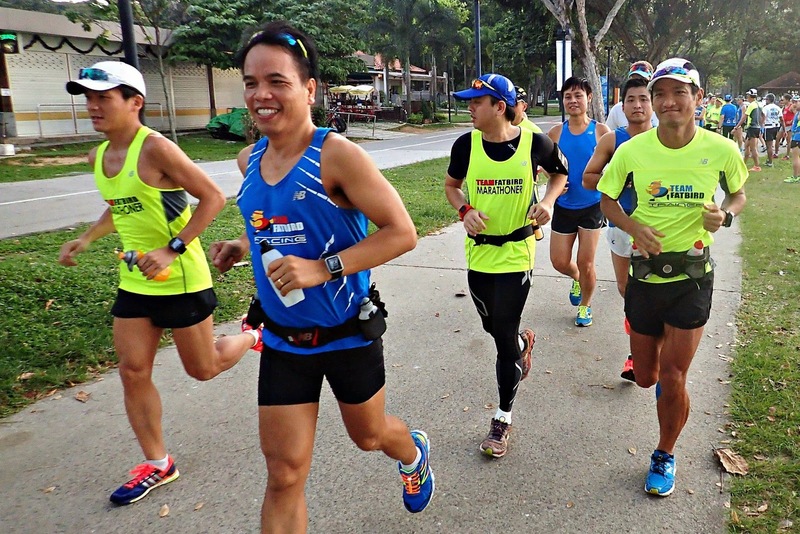 The Sunbirds progressed on very well and it was not until 25km that some of the trainees felt the strain due to low glycogen stores and/or from a lack of conditioning for that distance. 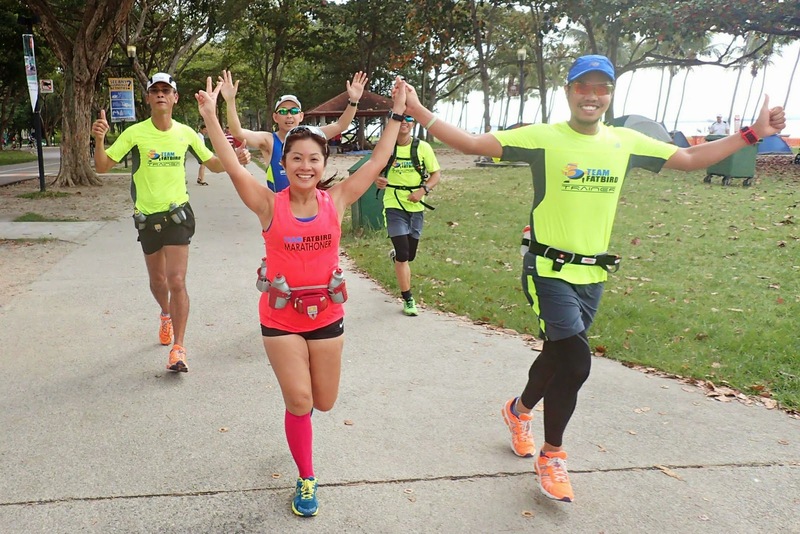 It presented a good opportunity for many to experience the effects of the different energy systems in play, as well as how to recover from fatigue to find a ‘second wind’ to sustain target pace. 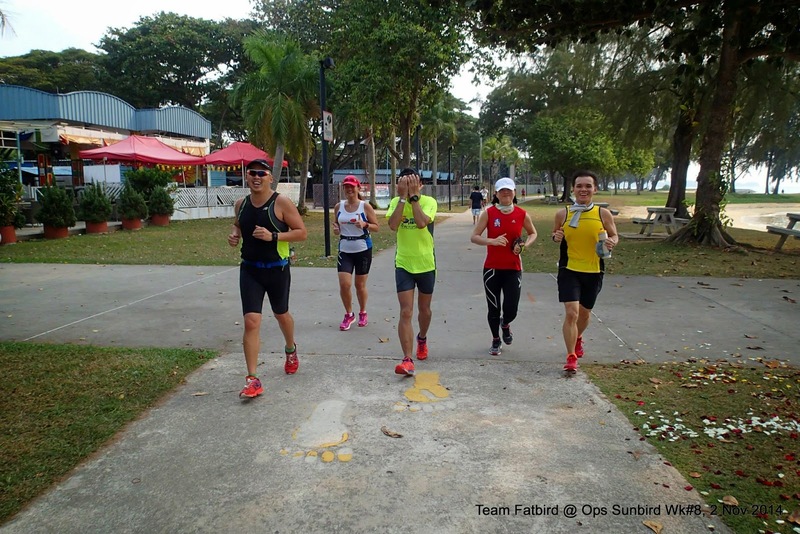 The final 5km back to C4 did push the envelope for some of the Sunbirds, but they eventually overcame their fatigue to complete the 30km in relatively good form. 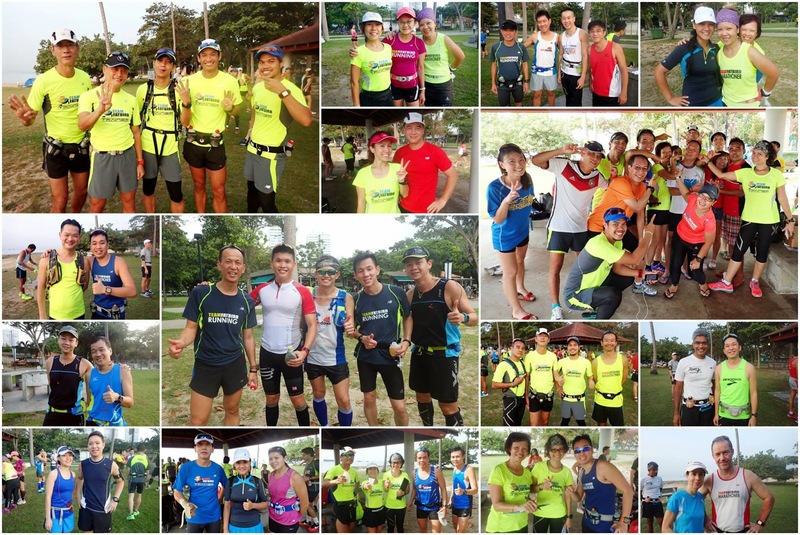 Although tired, many were happy to have completed the long 30km run at target MP, with good feelings all round. 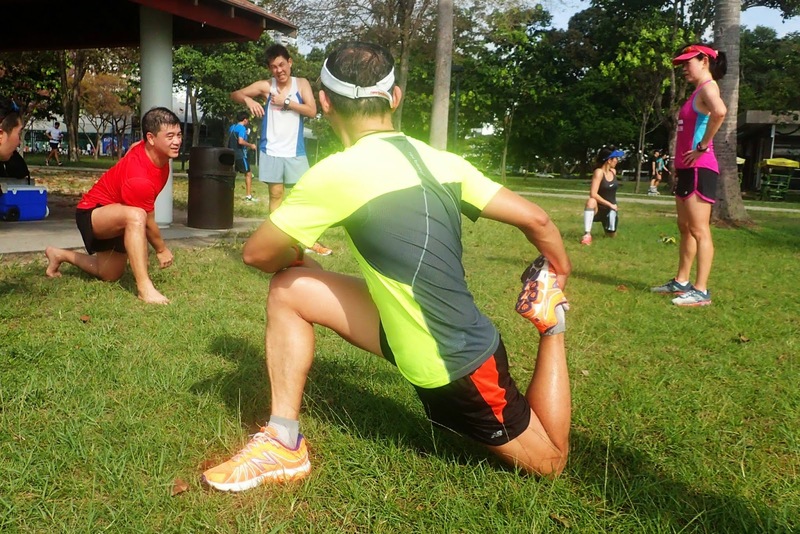 As the training distances and intensities increase, more trainees will be feeling the tightness building up in their major running muscle groups – and if not addressed by doing some homework with foam rolling and myofascial massages, injuries can rear their ugly heads to disappoint a few of us. 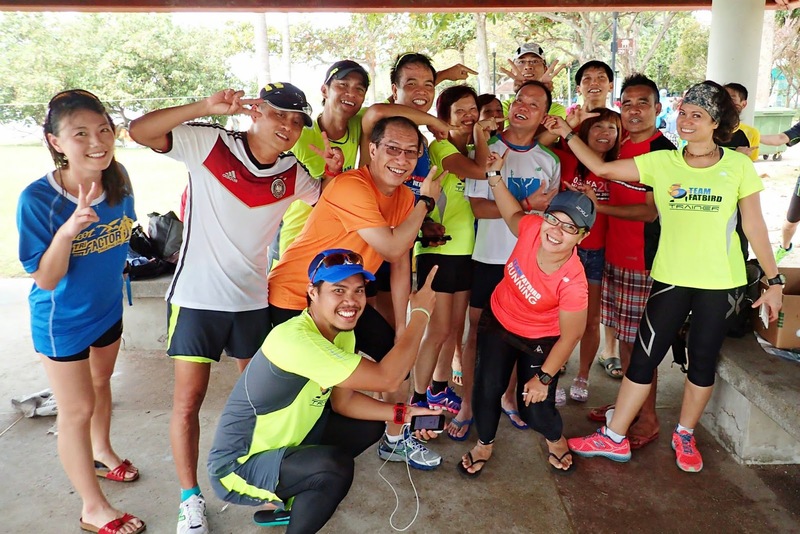 Overall, it was a smooth session with most of the training objectives met. 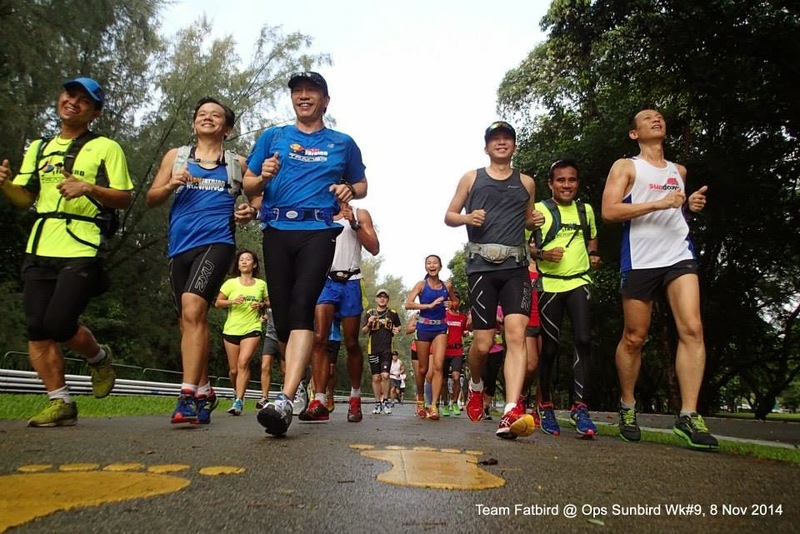 We look forward to the 32km next weekend, probably starting with MP in the first half and then Optimal Pace in the second.